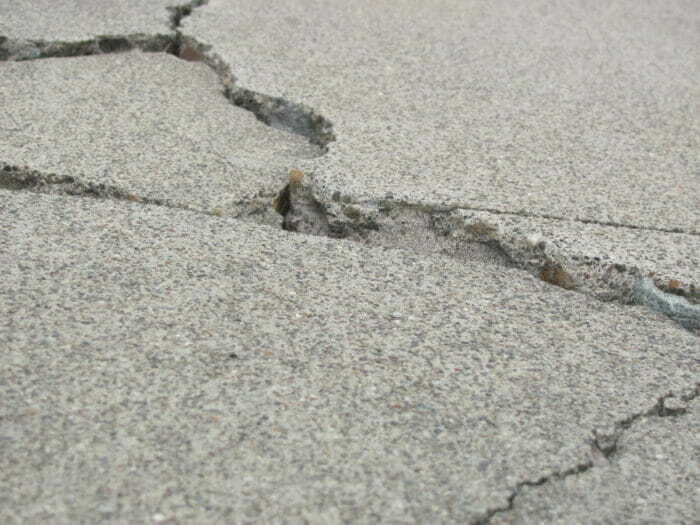 Cracks in a concrete garage floor may indicate that there are foundation problems or other issues. As buyers or owners, we want know how to tell if they’re serious; basically when to worry. The good news is that most cracks in garage floors are common and not an indication of serious structural issues, however there are a few that indicate that maintenance is needed or that there may be a structural concern. One of the most common mistakes that people make when looking at their garage floor is to confuse a cold joint with concrete that has actually cracked. 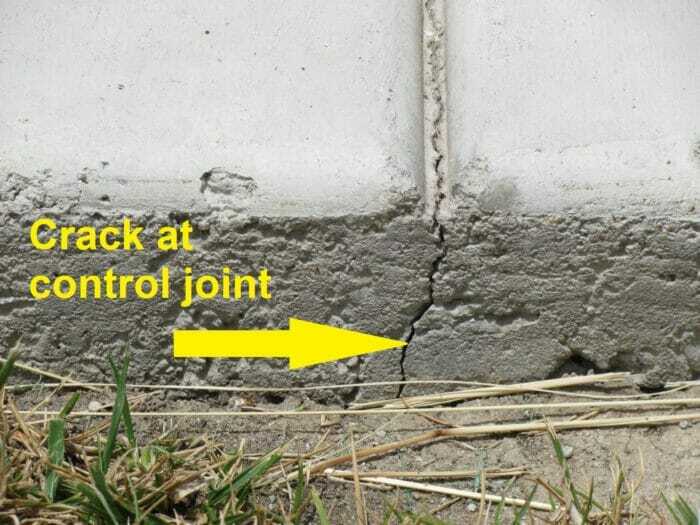 A cold joint is intentionally placed in concrete by the concrete contractor when he is pouring the concrete. Basically a cold joint is where a section of concrete has been poured and then after it has hardened they pour another section of concrete next to it. Some people may confuse these joints with control joints. Many concrete contractors will say that there are two types of concrete. “Concrete that has cracked and concrete that is going to crack.” This saying has a lot of truth to it. 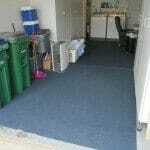 In garage floors contractors use mostly control joints and occasionally cold joints. Neither of these are inherently bad and are seldom a problem. 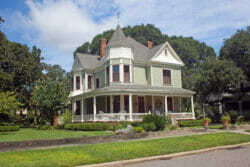 In the first year or two it is not uncommon for a new homes’ foundation to settle a bit. As this settling takes place the slab will often develop a few cracks due to this settling, but in the overall picture, these likewise will normally not be of much concern. Builders often say that “Time is money” and therefore push the contractors and sub-contractors to get their work done sooner. In this haste the framing contractor often wants to start framing the house as soon as the foundation and slab is poured. From a technical stand point the concrete needs some curing time before anything heavy can be placed on it; the concrete needs to achieve a certain strength before heavy lumber and equipment gets onto the concrete. Depending on the type of concrete it usually takes 5 or 10 days and even up to 4 weeks before heavy equipment and loads can safely get onto a concrete slab; most concrete reaches full strength in approximately 28 days. 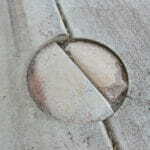 Very thin hairline cracks in random or irregular hexagonal patterns that are very shallow, usually less than an 1/8 of an inch deep, are often called crazing cracks. 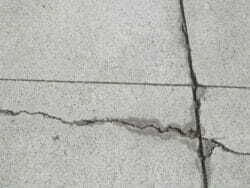 They are caused by improper troweling and placement of the concrete; the thin top layer of concrete dries out faster than the rest of the concrete, thus these hairline cracks. They are generally of no concern when it comes to structural integrity. You are more apt to see these types of cracks on a garage floor that has a hard smooth troweled surface than one that has a broom finish. Before pouring a concrete slab it is important to prepare what is often called the subgrade which usually involves compacting the sub-grade and base (i.e. gravel and /or sand on top of the sub-grade). If these sub layers are not well compacted then when concrete is poured on top of them, the heavy weight of the concrete will cause these areas to drop down a little, then cracking may occur. 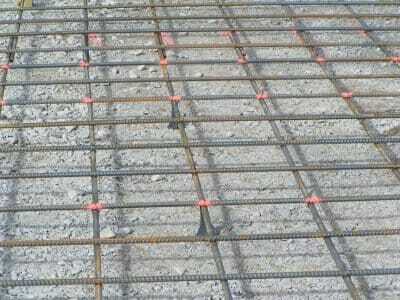 One of the most important aspects of a concrete slab is the steel reinforcement in the slab. It reduces cracking and makes the slab much stronger. Rebar steel reinforcement is probably the most common form of reinforcement used in concrete slabs for the last 40 to 50 years. 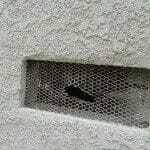 This type of reinforcement is usually placed at 12, 16 or 24 inches on center in each direction of a garage slab. The majority of these slabs are about 4 inches thick, however a few may be 5 or 6 inches thick. If a garage has a post tension slab there is usually either a sign stamped in the concrete floor saying it is a Post Tension slab or a plastic sign on the garage wall stating it’s a Post Tension slab. 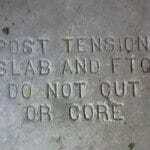 Remember that you should not saw cut the slab or core holes in it for safety reasons. 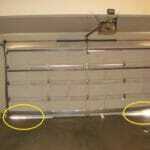 There are a number of garage floors that have welded wire mesh reinforcement in them. The wire mesh usually comes in rolls or sheets and is placed in the concrete slab, approximately in the center of the slab; in a 4 inch thick slab it would be about 2 inches from the top and 2 inches from the bottom or the slab. In some cases this wire mesh does not end up in the center area but lays on the subgrade with concrete just poured over it, thus it doesn’t perform as well as it is designed to. 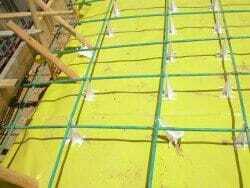 A concrete slab without reinforcement will crack substantially more than a reinforced slab and is weaker. A concrete slab without reinforcement usually will have more cracks and the cracks will be wider than cracks in a reinforced slab. Nearly all newer homes will have reinforced slabs, however older homes, especially those built in the early sixties or before may not have reinforcement or very little. Photo on left is an extreme example of a concrete slab without steel reinforcement. Keep in mind a slab without steel reinforcement usually does not look as bad as the photo but is more prone to cracking, than a slab without reinforcement. Tip. If a concrete slab has a crack where one side of the crack is an 1/8, 1/4, or 1/2 inch higher than the other side, then there is a pretty good chance that there is no rebar or other reinforcement in the slab; for if there was reinforcement, both side would be roughly level, not offset. When a garage floor has a significant number of cracks or that they’re wide cracks or when a crack has one side substantially higher than the other side; then examining these cracks further and checking the home for other signs of possible soil and foundation movement would be wise. In order to help analyze if the cracks are a concern, you must look at other factors in the home. 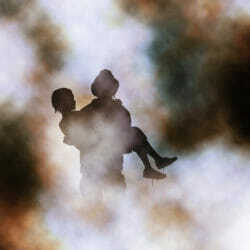 If you see some of the following, then the cracks may relate to foundational or other issues. Are the floors of the house sloping? Un-level floors are a sign of structural movement. Are there doors or windows that are inoperative or difficult to open or shut? Is the foundation cracked, leaning or bowed? Are there cracks in the drywall or siding? 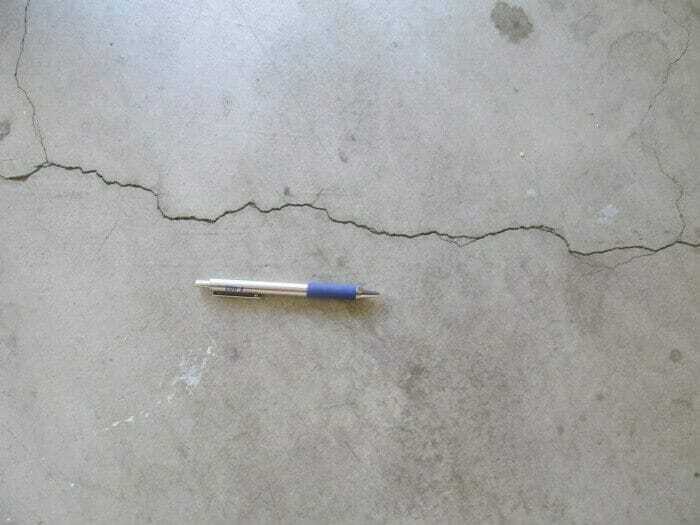 Does a crack across the garage floor continue up the garage wall? 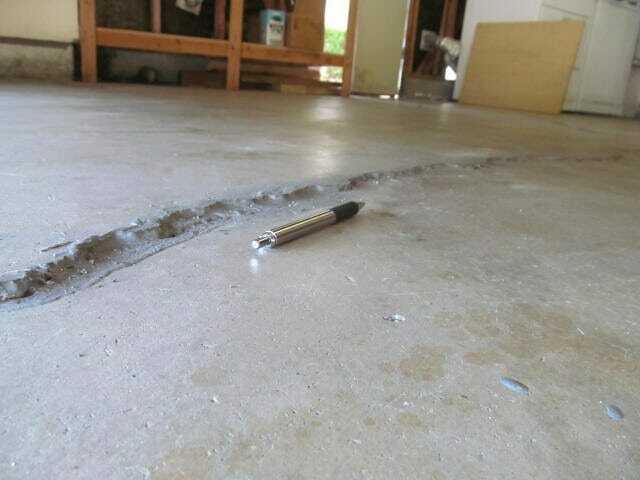 When there are other issues like those above with a house, then garage floor cracks become more of a concern, for they are then part of the overall picture of the home and may relate to foundation issues. It is common for garage floors to develop cracks, some of which appear right after the floor is poured (i.e. shrinkage cracks). Others appear over the first year or so from the house settling slightly. Older homes and homes built on expansive soils tend to have more cracks but even if they do, the question becomes if the cracks are significant or just normal for the age and geographic area. 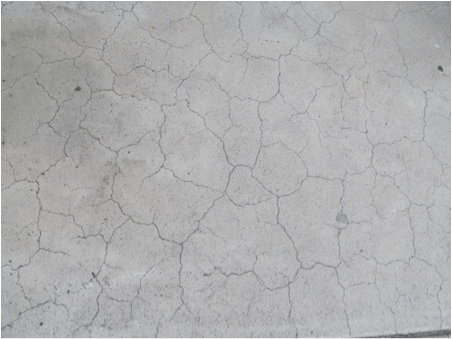 Although there are many reasons for a concrete slabs to crack, most do not lead to serious foundation or structural issues; however there are times that the cracks are a warning sign of foundational or other problems. In these cases an owner or buyer should check a number of other things about the house in order to help determine the seriousness. 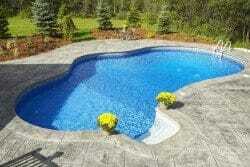 If you are just looking to fill in the cracks try a concrete epoxy. Gaps under the garage door corners may indicate structural movement. Tree roots near the garage can crack the floor through transpiration. How to know when foundation cracks are serious. 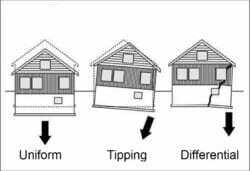 How to minimize damage to a home from expansive soils. Will your homeowners insurance policy cover damage to your foundation? 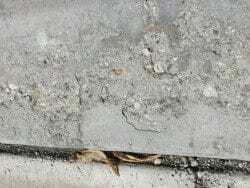 Deteriorated concrete may be a sign of a number of things. For example, the area at the bottom of the garage door is deteriorated. Buyers often wonder if this is structural.